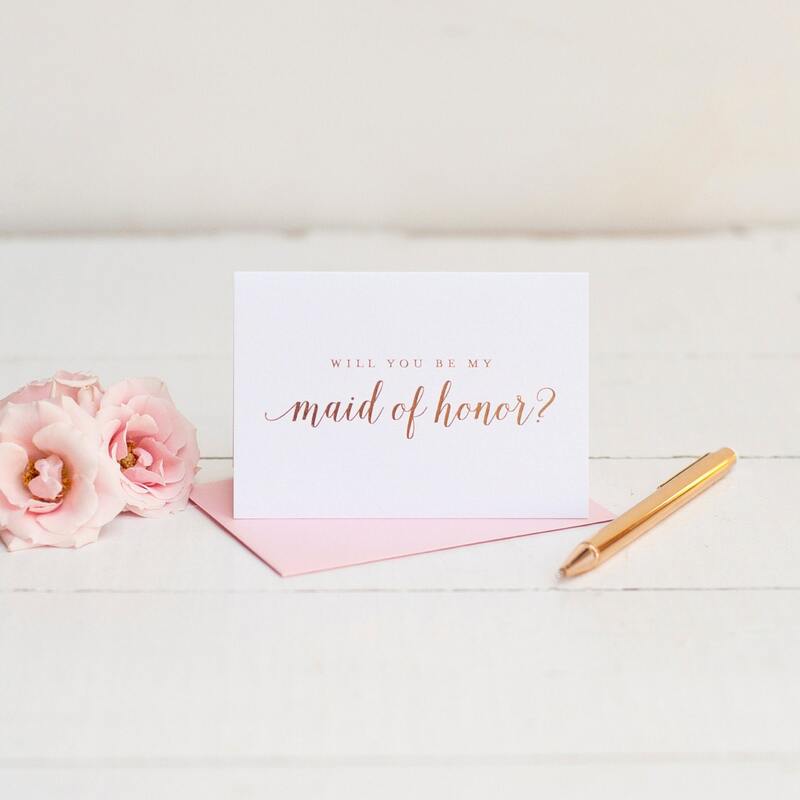 Stunning rose gold foil stamped "Will You Be My Bridesmaid" cards ask your attendants to join you on your special day in the season's hottest foil color. 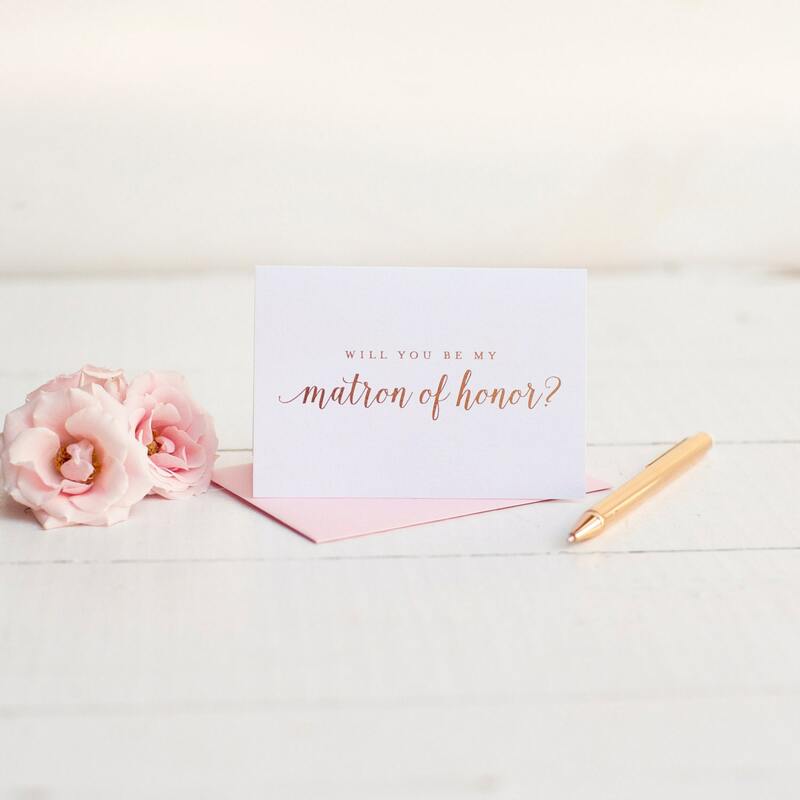 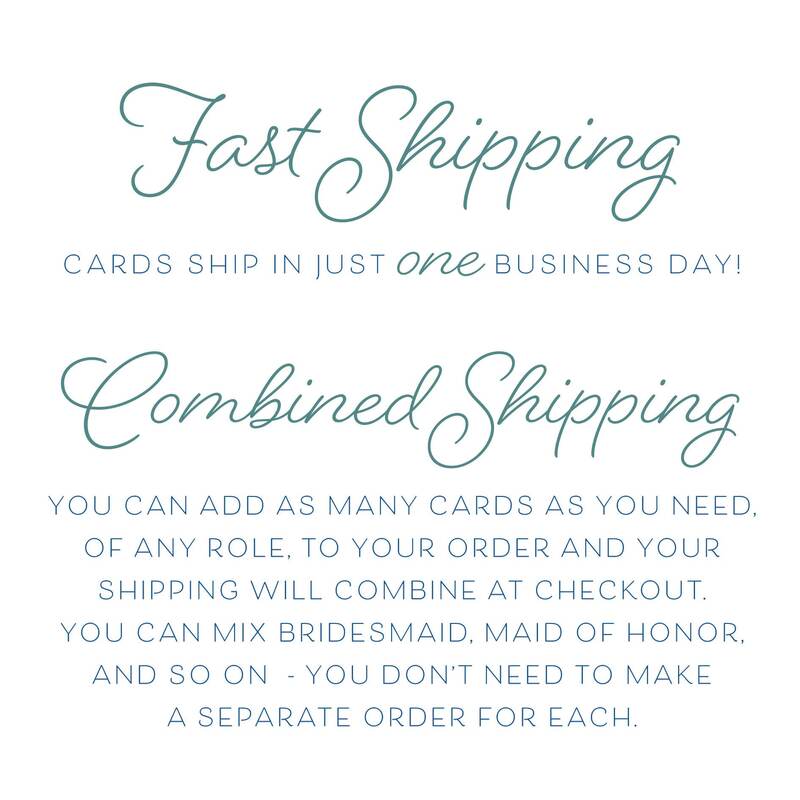 Our authentic rose gold foil stamped cards come on beautiful shimmering white pearl cardstock. 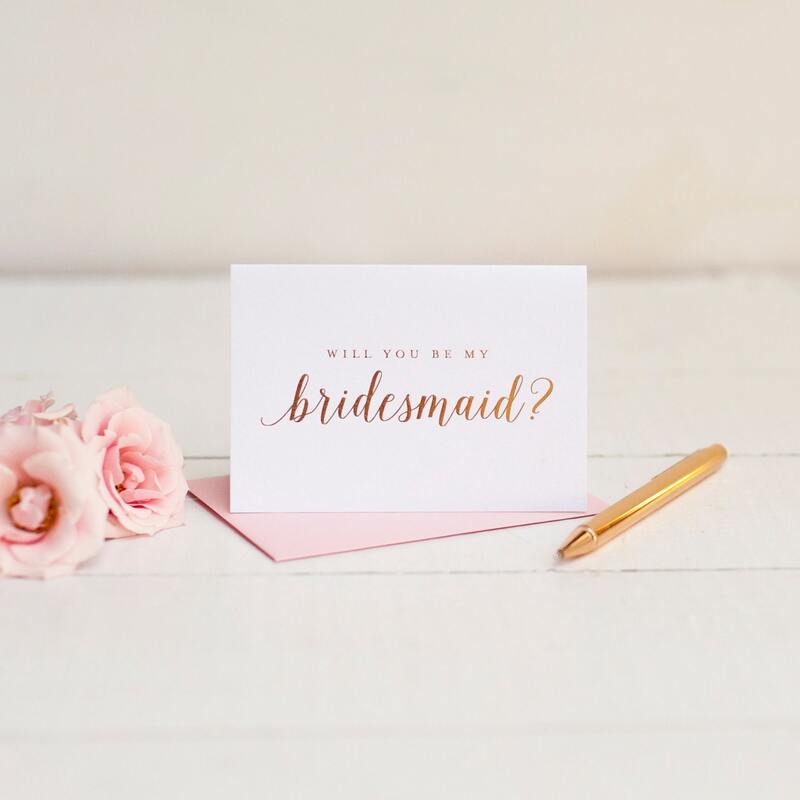 Available in bridesmaid, junior bridesmaid, maid of honor, and matron of honor, the rose gold foil shimmers in the light and can look pink or gold-toned depending on how it's held. 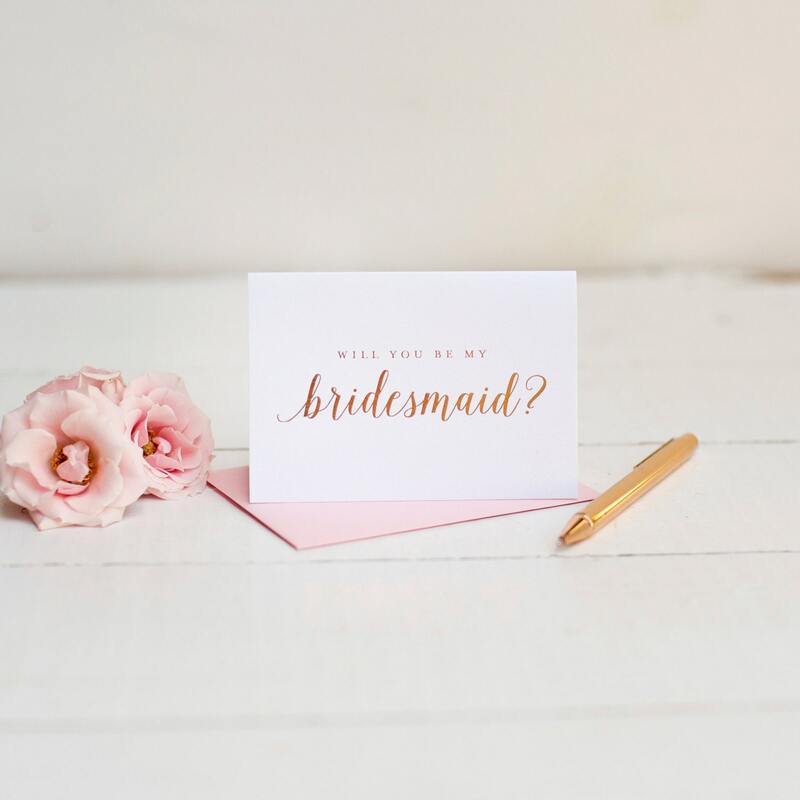 Be sure to look through all our photos for examples of how it reflects the light beautifully! 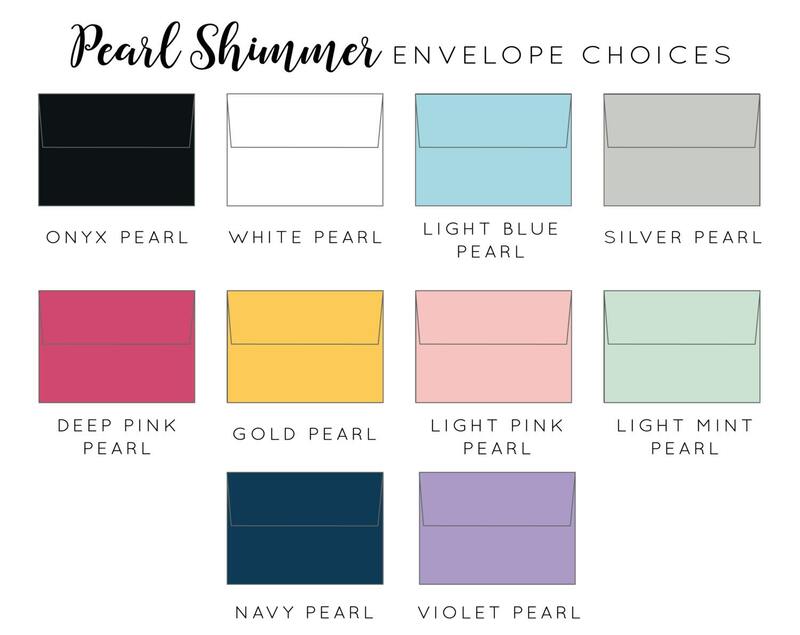 A lovely shade of foil that pairs well with a variety of envelope colors.